When it comes to getting the most of your workout time, there’s really no place like home. 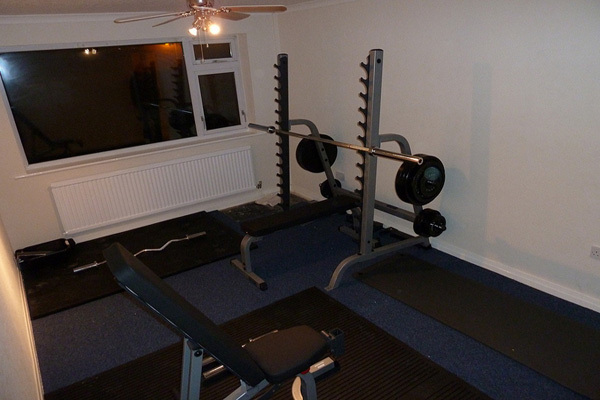 Building a home gym can increase your dedication, motivation and help you to reach your goals. Before you raise a hammer though, there are a few things you should take into consideration. 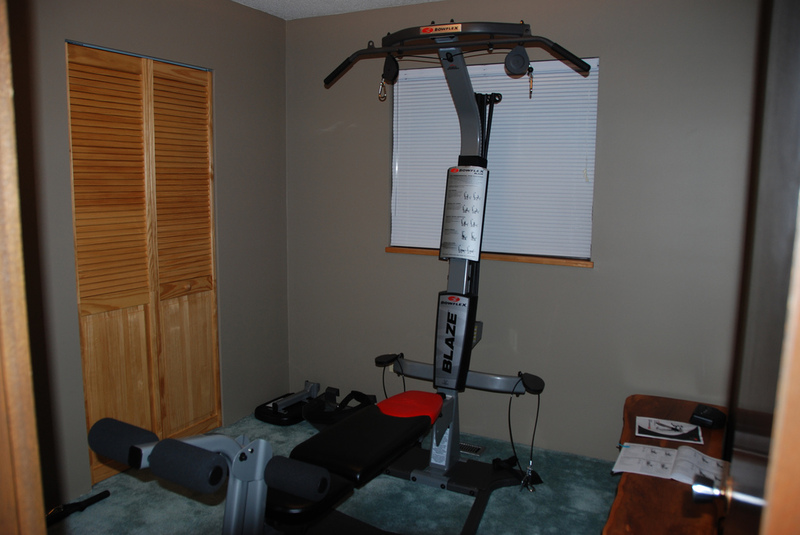 Depending on the type of workout you intend to get from your home gym, you may need a fairly large space. 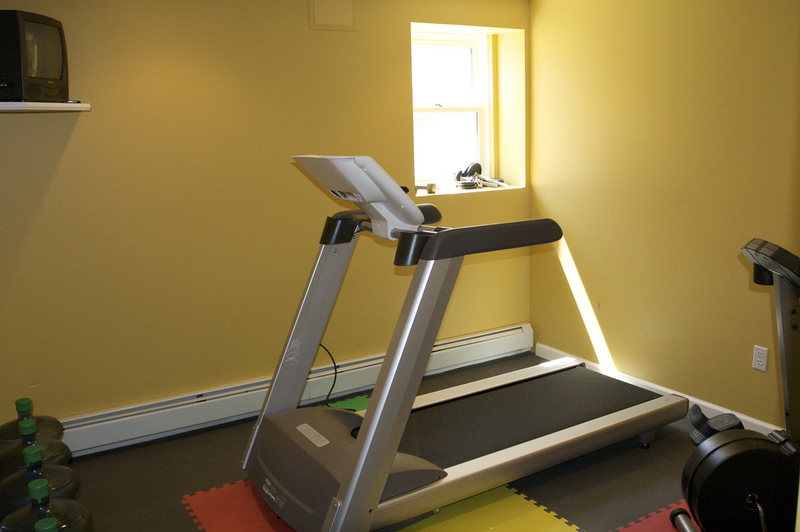 A treadmill, for example, takes up approximately 30 square feet. Add free weights and you’ll need another 50 or so, to workout safely and comfortably. Do the math before you get started on your new gym, and make sure the finished product can handle your needs. This is a very important element that many people fail to consider when building a home gym, and the mistake can be costly. Choose something low maintenance, but that can withstand the weight of the equipment, friction from your various reps and the occasional drips of sweat. Experts recommend laying down vinyl or something with a polyurethane finish. You might also prefer stain-resistant carpeting, because it will act as an insulation with sound and be able to absorb the impact of an uninhibited workout. Make sure you keep music in mind from the very beginning of your design stage. Install speakers in strategic locations, and set up your stereo in an easily accessible location. Decor is also a huge influence on motivation, so create a space that keeps you moving. Hang a full-length mirror, photographs of inspirational figures (literally), and coordinate colors so that they are smooth and vibrant without being overbearing. Work with windows if you’ve got them too, as they can provide a fantastic design space that will add a professional touch to your gym. Avoid simply throwing up a curtain or valance, rather, use it to add depth and dimension that almost moves. The quality of the air you breathe in your home gym is obviously important, so take care if you plan on using an attic or basement. While these rooms can be the ideal place to create your workout area, the air may not be up to standard. Install a vent if possible, or simply make sure you can crack a few windows. Mold in the basement may make you sick, and dust particles in the attic can make you sneeze. Consider how your movement will add humidity and how a ceiling fan might help. Additionally, you may want a separate heating and cooling system for your gym, because temperatures just won’t jive with the rest of the home during your cardio or aerobics. Selecting compact models is often your best bet with equipment designed for the home, because it offers much more versatility than fixed models. Begin with the basics and add more elements as you discover how the first ones worked. Your new gym may require some tweaking, so keep your options open as you perfect the look and layout. Never cram more than one piece of equipment into the same space either, as this may be hazardous to your health. Consider purchasing machines that allow you to return them for a full refund too, just in case they don’t work with the design and function of the room. Your new home gym should be safe, allowing you to move freely and engage in all your favorite routines. Plan it well as you make the space your own, but remember that once it’s built, you’ll have absolutely no excuse not to achieve all your fitness goals!